Most evangelicals are aware of passages like Mark 7:9 where Jesus opposes the traditions of men. Evangelicals tend not to be familiar, however, with the passages of Scripture that demand the keeping of traditions from the apostles, whether they came by word or by letter. Does Apostolic Succession Prove Every Church Should Obey the Pope? The best answer to give is the quote to the left of this sidebar. 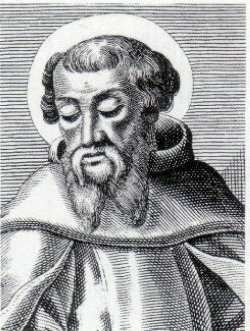 Irenaeus gives the succession in Rome as "most abundant proof that there is one … faith, which has been preserved in the church from the apostles until now." Irenaeus was not arguing that the Roman church has authority to change the tradition that came from the apostles. In fact, he says, "Nor will any one of the rulers in the churches … teach doctrines different from these, for no one is greater than the Master." Nor was he saying they had authority to rule other churches. He was simply arguing that they had accurately preserved the truth. When he was done saying this, he added that Smyrna, which had Polycarp as a witness to the apostolic era until recently (in Irenaeus' time), was a true witness as well, and then he adds, "Then, again, the Church in Ephesus, founded by Paul, and having John remaining among them permanently until the times of Trajan, is a true witness of the tradition of the apostles." Apostolic succession in the 2nd century was an argument that a church had accurately preserved truth since the time of the apostles. It was not an argument that one church could rule another. Suppose there arises a dispute relative to some important question among us. Shouldn't we have recourse to the most ancient churches with which the apostles held constant interaction and learn from them what is certain and clear concerning the present question? How would it be if the apostles had not left us writings? Would it not be necessary to follow the course of tradition which they handed down to those [elders] to whom they committed the churches? If anyone were to preach to these men the inventions of the heretics [i.e., the gnostics], speaking to them in their native languages, they would immediately stop their ears and flee as far as possible. They would not endure even to hear their blasphemous speech. The preaching of the Church is true and stedfast, in which one and the same way of salvation is shown throughout the whole world. For to her is entrusted the light of God, and therefore the "wisdom" of God, by means of which she saves all men … For the Church preaches the truth everywhere, and she is the seven-branched candlestick which bears the light of Christ. Christ Jesus our Lord (May he bear with me a moment in how I have to say this! ), whoever he is, of whatever God he is the Son, of whatever substance he is both man and God, of whatever faith he is the teacher, of whatever reward he is the promiser—[no matter what of these is true,] he did, while he lived on earth, personally declare who he was, what he used to be, what the Father's will was that he was administering, and what duty of man he was prescribing. [He declared this] either openly to the people, privately to his disciples, …whom he destined to be the teachers of the nations. Accordingly, after one of these were struck down, he commanded the eleven others … to go and teach all nations … Immediately, therefore, the apostles did that, whose title means "the sent ones." … They obtained the promised power of the Holy Spirit for the gift of miracles and of speech. After they first bore witness to faith in Jesus Christ throughout Judea and founding churches, they next went out into the world and preached the same doctrine of faith to the nations. As in Judea, they founded churches in every city, from which all other churches—one after another—derived the tradition of the faith and the seeds of doctrine and are every day deriving them so that they may be churches. From this, therefore, do we draw up our rule. Since the Lord Jesus Christ sent the apostles to preach, no others ought to be received as preachers than those whom Christ appointed … Nor does the Son seem to have revealed [the Father] to any other than the apostles, whom he sent forth to preach … What that was which they preached … can … properly be proven in no other way than by those very churches which the apostles founded in person, by declaring the Gospel directly to them themselves, both viva voce, as the phrase is, and afterwards by their letters. In the following quote, Tertullian is speaking sarcastically at the beginning, suggesting that it is absurd to to believe that the Marcionites and Valentinians could be the truth when they did not show up until a century or more after Christ began to be preached. This passage is to show that there were traditions not in Scripture that the whole church considered to be "apostolic tradition" nonetheless because of the agreement of all the churches. If no passage of Scripture has prescribed [not wearing laurel crowns], assuredly custom, which without doubt flowed from tradition, has confirmed it. For how can anything come into use if it has not been first handed down? Even in pleading tradition, written authority—you say—must be demanded. Let us inquire, therefore, whether tradition, unless it be written, should not be admitted. Certainly we s hall say that it ought not to be admitted, if we maintain no cases of other practices on the ground of tradition alone ... I shall begin with baptism. When we are going to enter the water, just a little before ... we solemnly profess that we disown the devil, his pomp, and his angels. At that point, we are immersed three times, making a somewhat ampler pledge than the Lord has appointed in the Gospel. Then, when we are taken up, we taste first of all a mixture of milk and hone, and from that day we refrain from the daily bath for a whole week. In congregations before daybreak we also take, and from the hand of none but the presidents, the sacrament of the Eucharist, which the Lord both commanded to be eaten at meal times and enjoined to be taken by all alike. I have referred to Cyprian as "St. Cyprian" to make it clear that he's been canonized by the Roman Catholic Church (RCC). For reasons explained on other pages the RCC likes to quote Cyprian on the subject of apostolic succession. However, when it's pointed out that Cyprian had an ongoing disagreement with Stephen, bishop of Rome, whom the RCC anachronistically supposes to be a "pope," and that he specifically rejected one bishop ruling any other at the 7th Council of Carthage, suddenly this highly-quoted saint is said to be in error! It is hypocritical to quote Cyprian in support of the authority of the pope when you know that he specifically rejected it. The disagreement between Cyprian and Stephen was over the baptism of heretics. Stephen said that if a person came to the Church having been baptized by a heretical group, then no further baptism was necessary. The Church could simply lay hands on the repentant person and receive them. Cyprian disagreed … quite vehemently. Let nothing be innovated, says [Stephen, bishop of Rome], nothing maintained, except what has been handed down. From where is [his] tradition? Does it descend from the authority of the Lord and the Gospel or does it come from the commands and letters of the apostles? For that those things which are written must be done, God witnesses and admonishes, saying to Joshua … "The book of this Law shall not depart from your mouth, but you shall meditate on it day and night so that you may be careful to do all that is written in it" [Josh. 1:8]. Also, the Lord, when he sent his apostles, commands that the nations should be baptized and taught to observe all that he commanded. If, therefore, it is either prescribed in the Gospel or contained in the letters or Acts of the apostles,that those who came from any heresy should not be baptized, but only hands laid on them to repentance, let this divine and holy tradition be observed. But if everywhere heretics are called nothing other than adversaries and antichrists, if they are pronounced as people to be avoided, twisted and condemned by themselves, why is it that they should not be found worthy to be condemned by us, since it is obvious by the apostolic testimony that they are condemned by themselves? So no one ought to defame the apostles as though they had approved of the baptism of heretics, or had taken communion with them without the Church's baptism, when they, the apostles, wrote such things about the heretics. This quote is given to show that even the Roman Catholic Church is aware that all authoritative tradition is supposed to be apostolic (i.e., from the apostles), even though they make no effort to abide by that knowledge.